We know all South Africans and indeed the world join us in this profound sense of loss and sadness on the death of our beloved Nelson Rolihlahla Mandela. 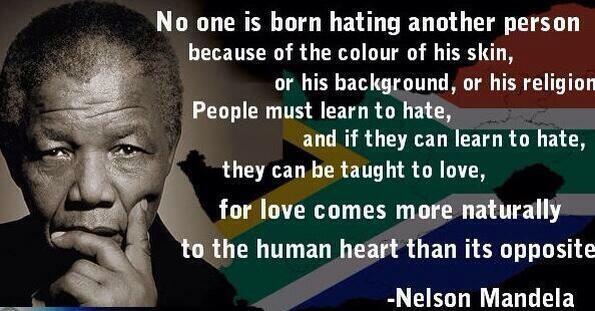 Our deepest sympathies and heartfelt condolences are with the Mandela Family and friends at this time. Let us stand together now and in the days ahead, and do what needs to be done to honour with dignity Tata Madiba.